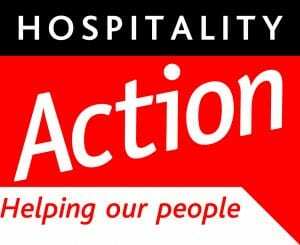 Hospitality Action has been confirmed as this year’s Chair-nominated charity for the ceda Conference 2019. Behind the smiles and slick service, hospitality workers can fall upon hard times just like anybody else. Ours is a stressful industry, with long hours, high pressure environments and physically demanding work. Injuries, mental health problems and addiction are sadly a feature of modern life in the hospitality trade. That’s where Hospitality Action steps in. They work to provide hospitality workers with financial, physical and psychological support to help them overcome adversity and get back to work as quickly as possible. They help individuals and their families stay afloat with grants to cover anything from rent payments to school uniform for their children. And for those who sadly can’t return to the industry they love, they provide ongoing support to transition them to the next stage of their lives. For older people who have retired from the industry they provide grants to help with heating bills, home conversions or even funeral costs for loved ones. Just as importantly, they provide a lifeline to prevent loneliness and isolation and their ‘Golden Friends’ enjoy regular contact and local events to help them stay active and connected to their community. To find out more about the work of Hospitality Action and the difference they make visit www.hospitalityaction.org.uk.